The Rocket City TakeDownCon hosted by EC-Council partner Dynetics, Inc. will deliver a comprehensive analysis of Cyber Security through EC-Council�s industry-leading training and thought-provoking keynotes in two focused tracks. Delegates will spend Day 1 on the Attack, learning how even the most protected systems can be breached. Day 2 will be dedicated to Defense and delegates will learn how to defend information and networks from nefarious and persistent attacks deployed by cutting edge hackers. Live, instructor-led training in the industry-leading EC-Council suite of certifications, including their flagship Certified Ethical Hacker, Certified Hacking Forensics Instructor, Computer Security Analyst, and Licensed Penetration Tester will also be available at the Conference. Other advanced hacking courses will be offered in areas such as Advanced Mobile Hacking and Forensics, Advanced Network Defense, and Securing Windows Infrastructure. 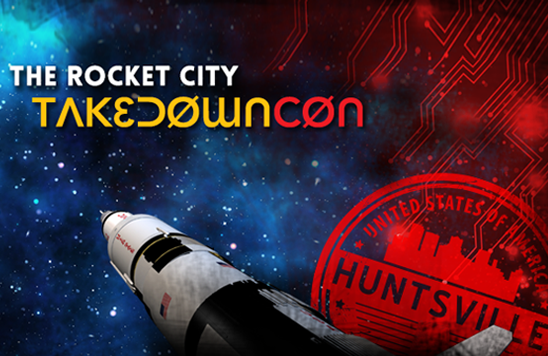 To learn more about The Rocket City TakeDownCon and to register for the event visit: http://www.takedowncon.com/2014/rocketcity. Dynetics delivers the “Power of Solutions” to government and commercial customers in the areas of intelligence, missiles, aviation, cyber and space. Based in Huntsville, Ala., with offices throughout the United States, Dynetics is a mid-tier company that provides complete lifecycle analysis, engineering and hardware solutions to support customer missions.